Yves Guillemot, the big boss at Ubisoft, has explained exactly why the Avatar game sold so very poorly. Avatar has not exactly been a triumph for Ubisoft, selling so badly that it was specifically named in the company's third quarter fiscal report as one of the reason that Ubisoft was revising its sales targets for the year. 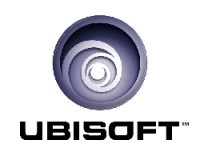 Now, in a recent company conference call, Ubisoft's CEO Yves Guillemot has explained what went wrong with the game, and apparently, it's not the game's quality that is to blame. According to Guillemot, the problem was the timing of the movie's release: "We knew we were taking [some risk]. The fact that the movie was coming in December was a potential problem, and it did result in a problem." Sales of Avatar tailed off as the holiday period ended, resulting in sales that were roughly one million copies lower than expectations. Guillemot also said that his company will reduce its focus on movie tie-ins in the future, saying that they are not the license to print money that one might think: "The goal is to reduce the investment in licenses, and put more emphasis on making our brands bigger [and appear] more often, with very high quality," he said. "It doesn't mean we will stop, but we are going to spend less on licenses in the future." Guillemot did also mention the quality of movie games, and while not mentioning Avatar directly, it's not difficult to figure out what he means: "We want to make sure with those kinds of games, we have time to polish as much as we want. The pressure of the release of the movie is always difficult in our industry, so I would say our goal in the future is to make sure we can have those games ready a long time in advance."